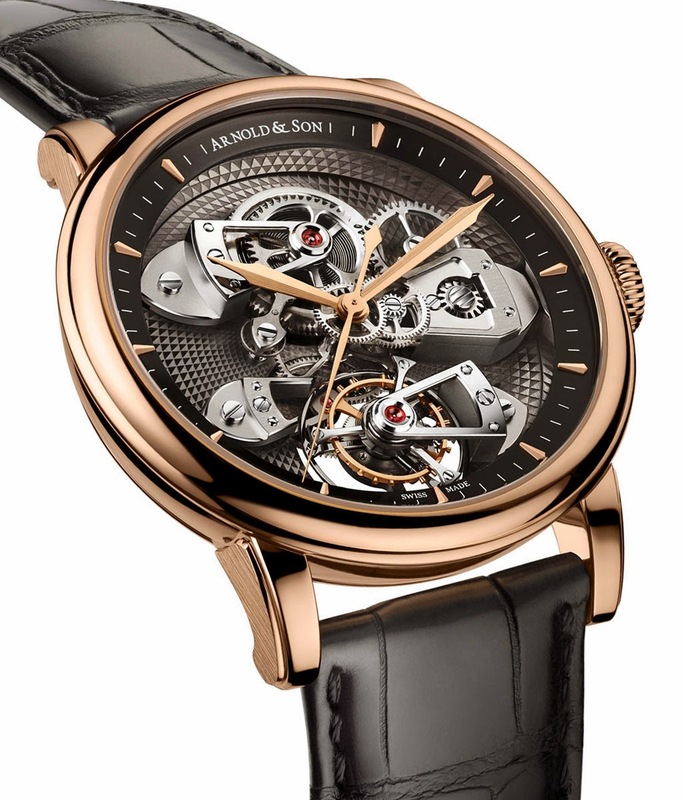 Unveiled just few days before the opening of Baselworld 2015, the new Arnold & Son TBTE Tourbillon combines two typical Arnold & Son complications: tourbillon and true beat seconds mechanism. A red gold case with a diameter of 44 mm frames a dial where the combination of multilevel bridges and open-worked main plate creates a three-dimensional effect. The decoration of the main plate is a reminiscence of an old guilloché pattern found on the cases of antique Arnold & Son pocket watches. Adopting the classical English movement design, the skeletonised tourbillon and motion-work bridges are triangular. 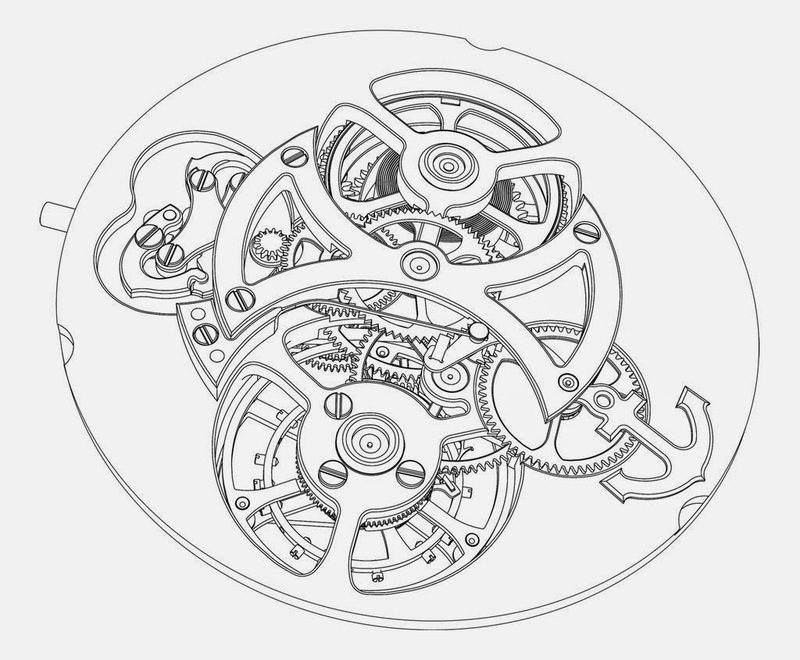 A technical challenge, the barrel spring and the tourbillon cage are centred along the watch’s longitudinal axis. The true beat seconds are also displayed on the dial side by a large central hand but the mechanism itself is located on the reverse of the movement. This way, the movement has a complication to admire on each side. The true beat seconds mechanism is characterised by the bridge shaped like a Celtic battle axe and the lever like an anchor, paying homage to Arnold’s maritime achievements. The hand-wound movement - beating at 21,600 vibrations per hour with a power reserve of 72 hours - features Haute Horlogerie finishes including hand-chamfered bridges with polished edges, circular satin-finished wheels, screwed gold chatons, and mirror-polished tourbillon cage and bridge. 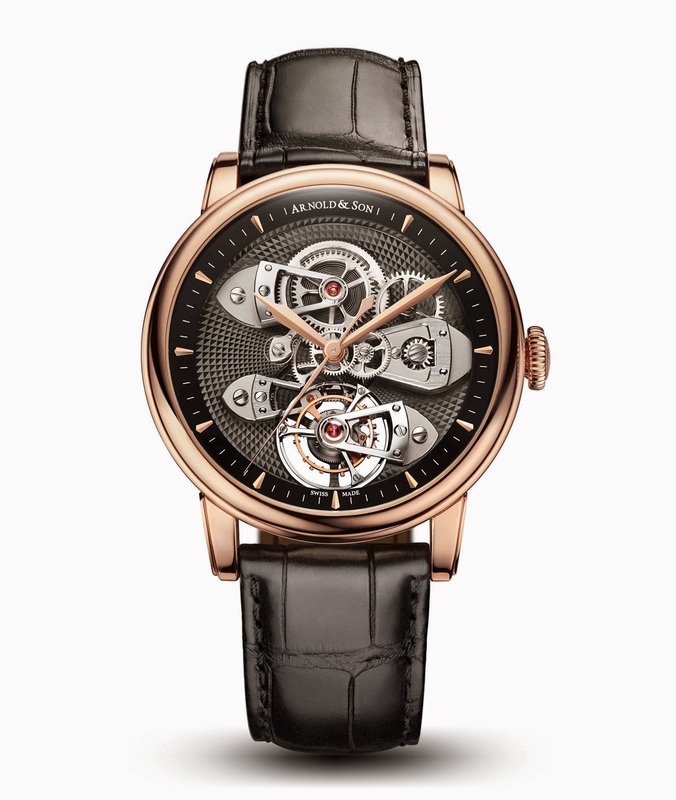 Arnold and Son TBTE Tourbillon. 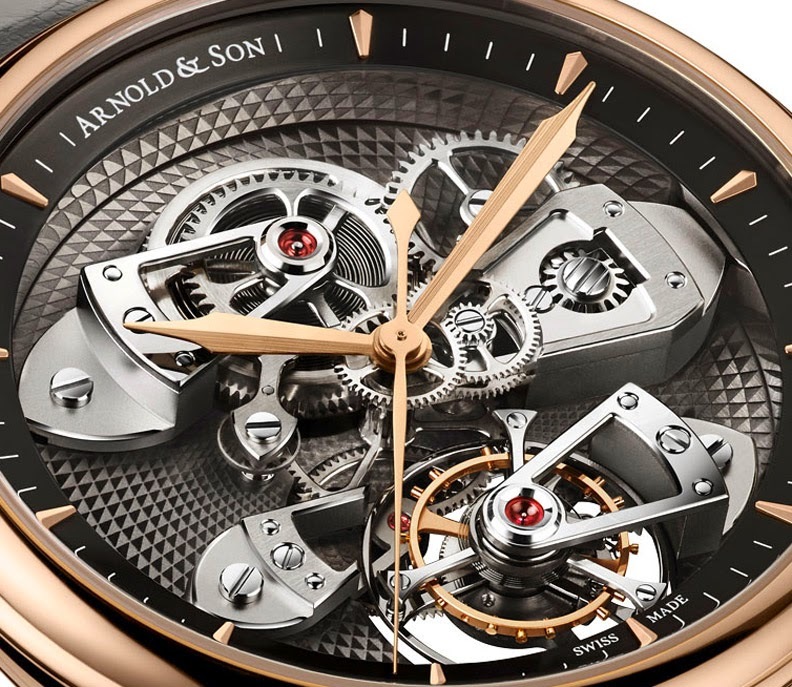 Unveiled just few days before the opening of Baselworld 2015, the new Arnold & Son TBTE Tourbillon combines two typical Arnold & Son complications: tourbillon and true beat seconds mechanism. 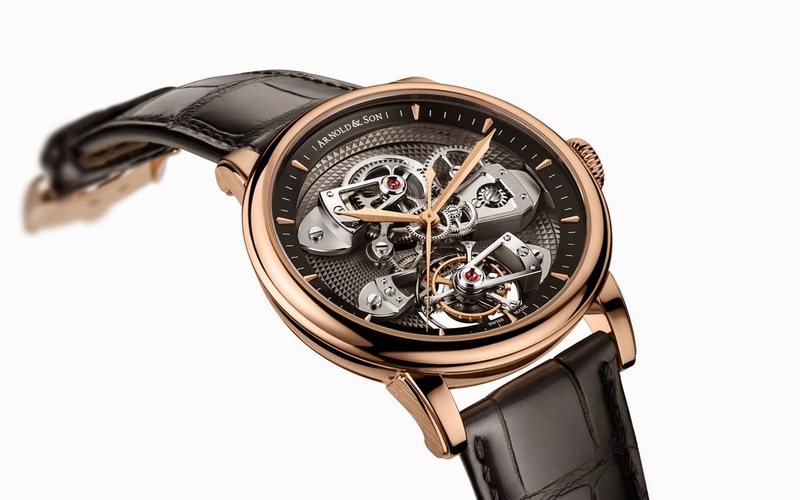 The Arnold & Son TBTE Tourbillon will be produced in a limited edition of 28 pieces.